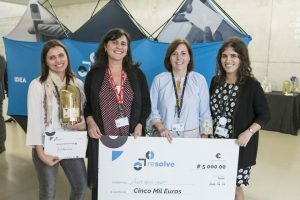 RESOLVE, the health-oriented business acceleration program based at i3S, is no longer an obscure reference for researchers hoping to create innovative solutions out of their work in the lab. 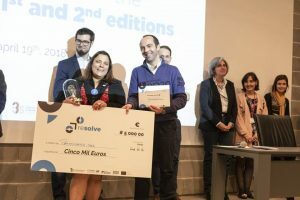 With its first cycle complete, and with new iterations in the works, the closing ceremony was the opportunity to award the Best Innovation Project and the Best Business Proposal. It was also the perfect occasion to disclose some impressive numbers obtained in the course of the program: out of over 60 applications, the program supported 15 projects boosted by 23 partnerships, which resulted in 7 new patents, 3 start-ups and 2 more in the making. AntiBioCoat is among the projects acknowledged in the ceremony. Focused on the development of an anti-adhesive coating based on a natural polymer produced by a marine bacterium, the project is the brainchild of i3S researchers Rita Mota, Fabíola Moutinho, Cristina Martins and Paula Tamagnini. Another interesting project is OncoAdvanc+, which aims to assess new compounds for colorectal cancer treatment on a pre-clinical stage. The team are comprised by researchers Maria Alice Carvalho, Sérgia Velho and Marta Oliveira. 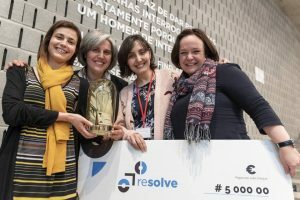 In the Best Business Proposal category, two projects received the higher distinction: HECOLCAP (intent on decreasing bone infection treatment to a single step), developed by researchers Susana Sousa and Fernando Jorge Monteiro; and PathoWatch.med, a product of researcher Manuela Oliveira's aspiration to monitor and, therefore, effectively curb hospital infections. 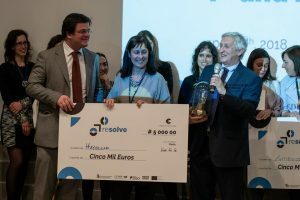 In common all projects backed by RESOLVE over the last two years had potential solutions for several issues for the benefit of patients and health professionals. The support entailed myriad business features, namely market strategies, focus groups with end users, and teaming up researchers with MBA students for a broader approach.